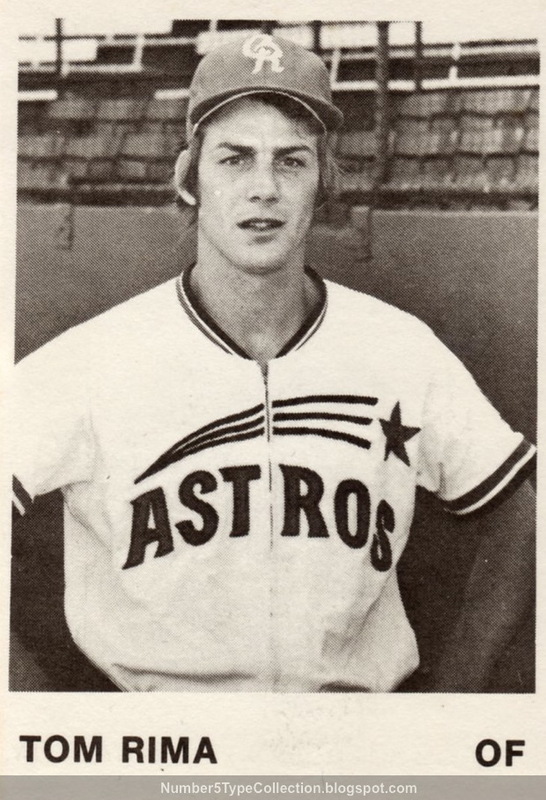 Today's Astros uni, taken from their A-league Cedar Rapids squad, has a simple logo treatment of the parent club's own late-60s and early-70s shooting star. The zip-up front caught my eye, given that most baseball shirts used buttons then and still do today; that alone makes it look more like a warm-up jacket. TCMA started producing cards in the mid-1970s for minor league clubs. 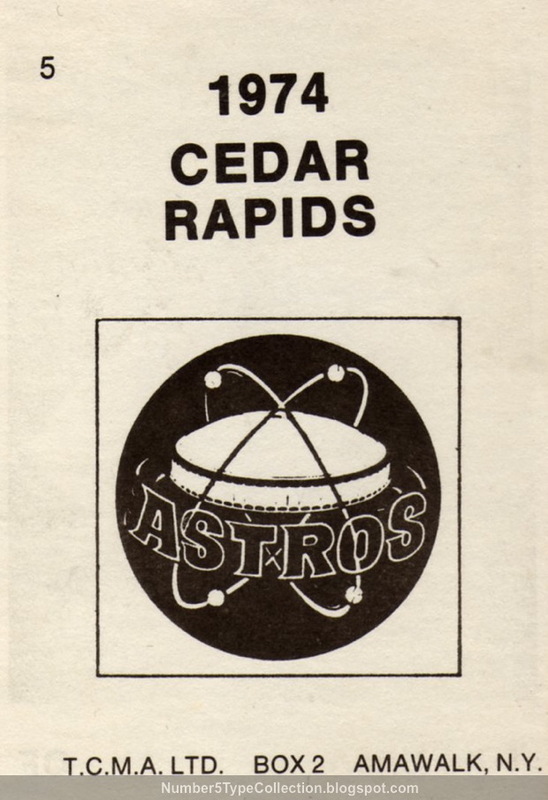 This Cedar Rapids set's one of two they made in 1974 and it contains 28 players (with, unfortunately, no major stars). Find the checklist on TeamSets4U.com's minor league page. Quality increased significantly as time went on, with TCMA sets going full-color by 1979. By the early 80s, they made cards on par with Fleer, a nice achievement given their minor league focus. Value: I found Mr. Rima on Beckett Marketplace for $5. That's somewhat high for a minor league card, but not egregious. Fakes / reprints: It'd be relatively easy to fake a black-and-white card, but probably hard to find a buyer. I haven't seen any reprints in the marketplace.